I try to swim at least four times a week. My local recreation centre has a reliably cold outdoor pool and in South Auckland, we have been fortunate to have free access to swimming pools. 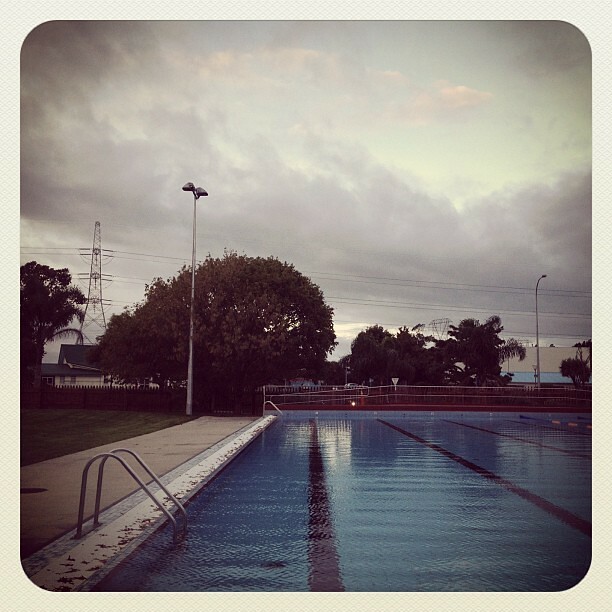 I swim as the sun is setting, I like the light, and the quiet; I often have the pool to myself. After I’ve warmed up, and my body stops struggling against the cold, I start to observe my own silence. Being in between the water and the sky, I’m aware and alert. I hear differently, and smell differently, and think deeply. 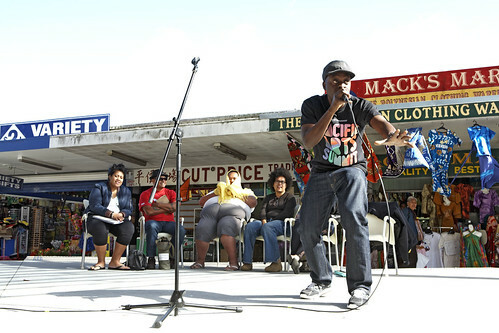 Today, the singing from a church group at Otara Music Arts Centre across the road was vigorous. Perhaps a significantly large congregation, or a special occasion – the doors must have been wide open. 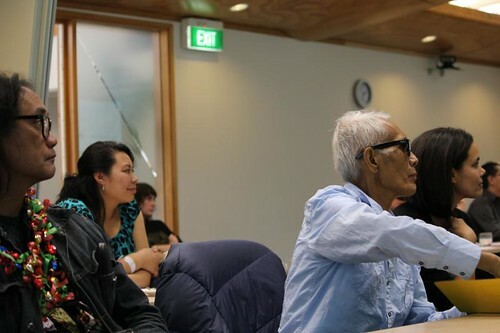 I could hear individual voices, I could hear their faith. Last week I could smell an umu. 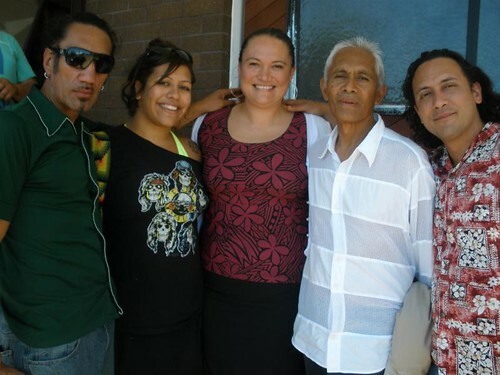 I was interviewed for an article a few years ago and spoke about one of the things I love about Otara being the haze of umu smoke on Christmas day. I think I was probably exaggerating, but the smell of umu or lovo, is happiness – memories of family, celebrations, love, land, home – and all from a smell. I resigned two weeks ago from my job of more than six years. I’ve worked in the ‘change environment’ for almost half of that time. Considering my future and contemplating my own ‘change environment’ has effected my outlook in a big way. 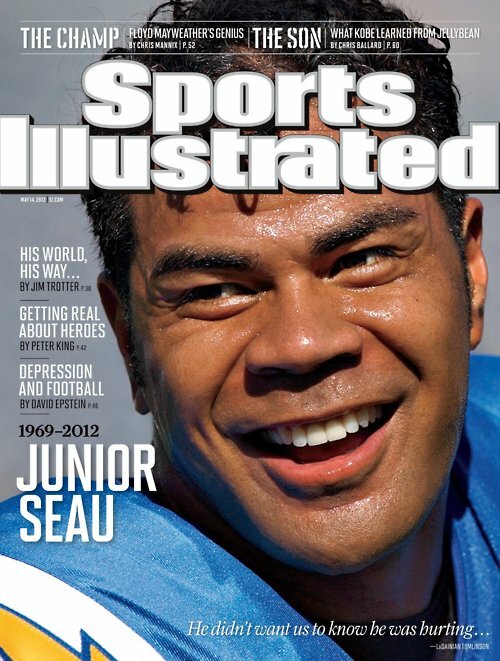 At times, everything is different – how I walk in different spaces, my language… my perspective. I’m emotional, and final. I see clearer, but also feel like I’m seeing things for the first time. 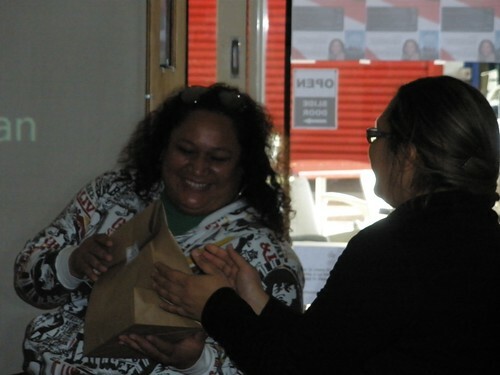 With news of a New Zealand local government reform, that will certainly affect the services I benefit from as a ratepayer in South Auckland, and my own professional change environment, it’s the moments in the pool – where I swim for free, every second day – that I reflect on what feels like the end of a golden era. Sadly, with leaders like this, informing change that will inevitably disenfranchise some of the country’s most vulnerable sectors, migration has never looked so appealing. 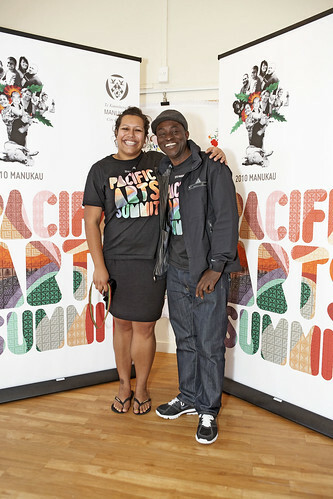 Yolande Ah Chong is the best MC a Pacific Arts Summit could ask for! 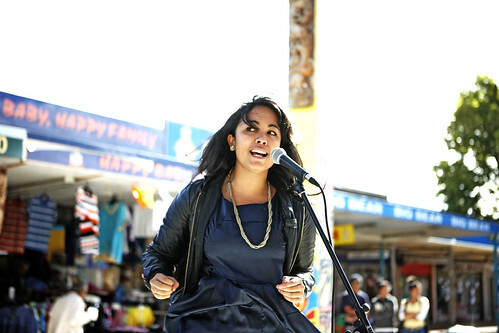 Luisa Tora of the Niu Waves Writers Collective [Fiji] performed in Aotearoa for the first time! 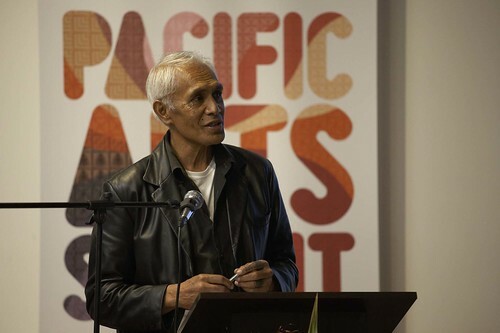 The multi-skilled Ole Maiava.. aka Pasifika Festival Director! All the poets: [L-R] Luisa Tora, Courtney Meredith, Drew Harding, Charlie Dark, Monica Cheung and Ole Maiava // super super cool… thank you all so much! It was an excellent event! 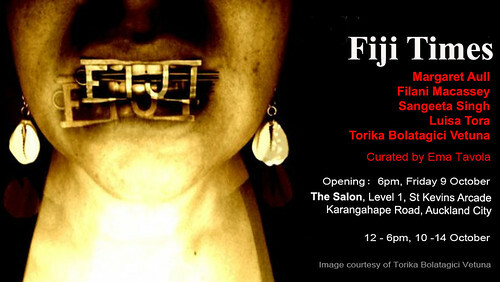 FIJI TIMES is a group exhibition curated by Ema Tavola for Fiji Independance Day, October 10. 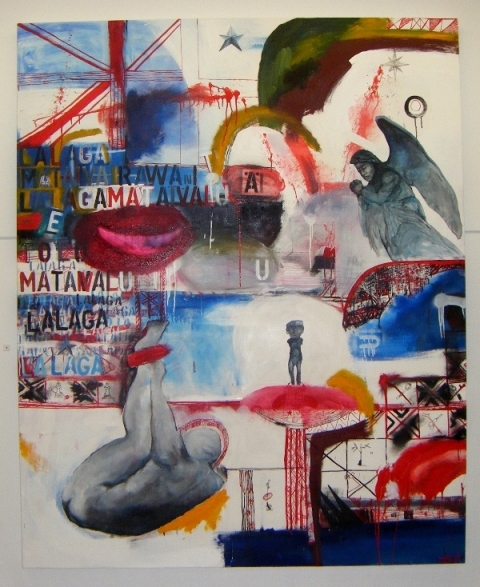 Inspired to make experimental artistic commentary on the current political climate of Fiji, five Fiji women artists have developed new works that tackle political [mis]leadership, faith and religion, censorship and militarism, propaganda, love, land and diaspora. 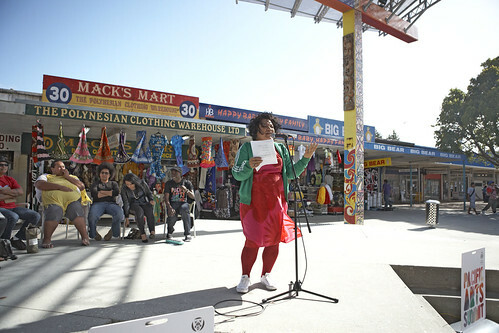 This exciting short exhibition is a continuation of the VASU: Pacific Women of Power exhibition staged in Suva in 2008. 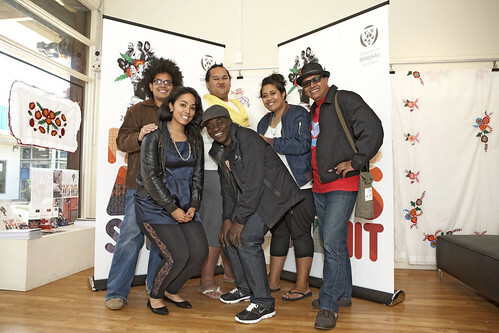 VASU was Fiji’s first platform for the promotion, celebration and discussion of art made by Fiji women. 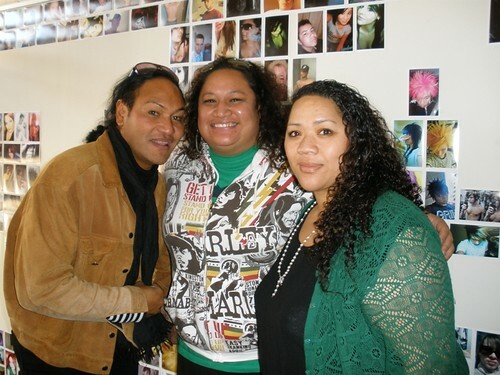 FIJI TIMES will take place at a central Auckland artist-run-space called The Salon from 10-14 October, opening daily from 12-6pm. 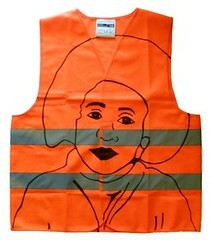 Artists will be on site and all are welcome to celebrate the exhibition’s opening from 6pm, Friday 9 October. 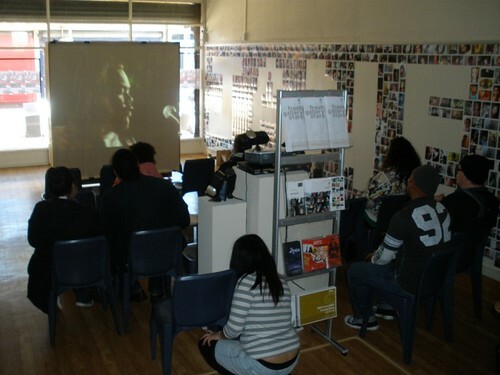 One Saturday 20 June, Dionne Fonoti’s short film, “Young, Gifted & Samoan” was shown at Fresh Gallery Otara to replace Janet Lilo’s artist talk for the exhibition, MyFace. 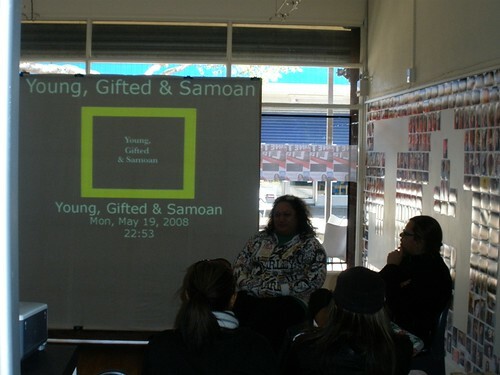 “Young, Gifted & Samoan” is a brief glimpse into the lives of three young men born and raised in the US and is the result of two years of collaborative fieldwork with Samoan youth from the San Francisco Bay Area. 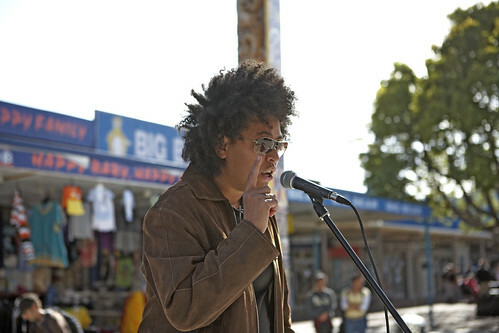 Dionne Fonoti was born in Auckland, raised in Samoa and Hawaii, and now lives in San Francisco. 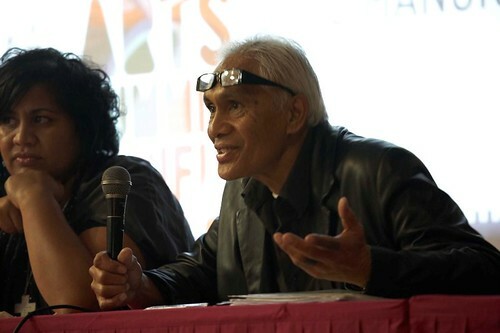 She earned a BA in cultural anthropology from the University of Hawaii at Manoa and an MA in Visual Anthropology from San Francisco State University. 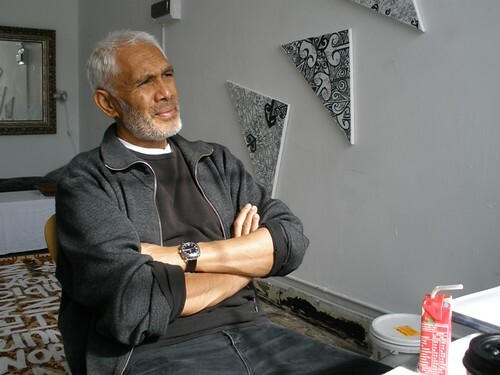 Dionne’s film had much in common with Janet Lilo’s experimental documentary produced in 2006 called, Struggle of an Emcee, named after the track by the same title by Abrio featuring Soul Chef. 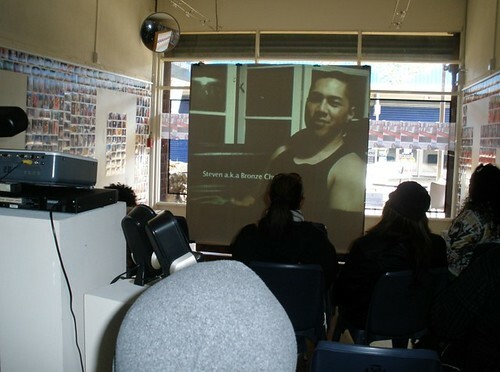 In 2006, Lilo undertook a project to produce a series of music videos for local hip-hop artists Abrio, Bronze Chyld and Dr Seuss. Whilst the videos were produced on a shoestring budget, Lilo was able to translate the lyrical narratives and direction of the music and artists into beautifully crafted and sophisticated videography. 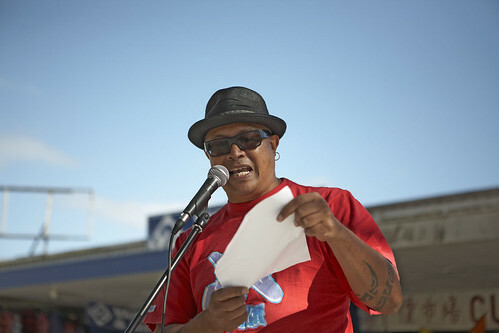 Struggle of an Emcee, a documentary style enquiry produced at the same time provides context and uncovers stories and relationships the artists have with the global culture of hip-hop. This body of work was selected by curator Heather Galbraith for the prestigious biannual Telecom Prospect show at Wellington’s City Gallery. 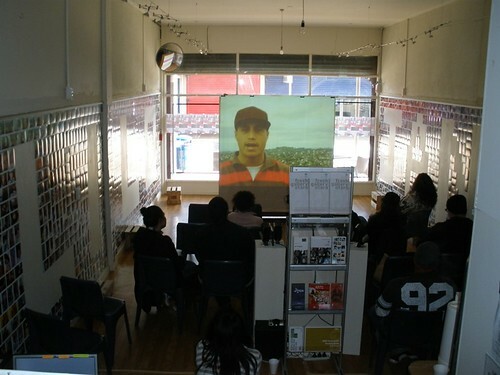 A podcast extract of the documentary is on the Telecom Prospect website here.